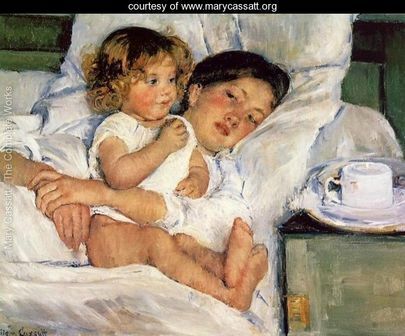 Mary Cassatt became a serious artist at a time period when it was believed that women should only spend their time staying home and taking care of their family. 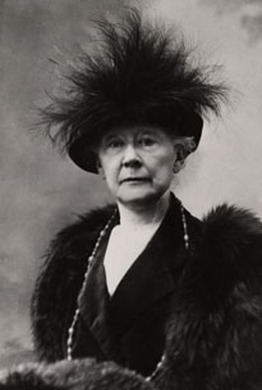 Most people considered art to be merely a hobby for women and not a possible career. 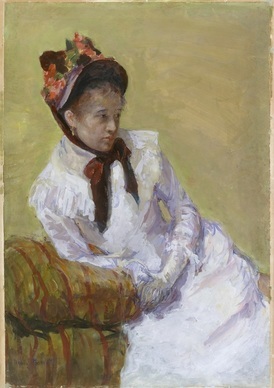 Cassatt lived in Pennsylvania, but she moved to Paris to learn more about painting. 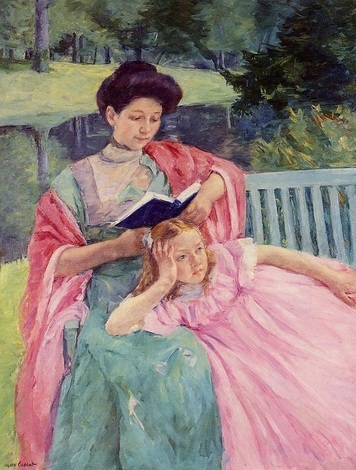 Cassatt became involved with the Impressionist painting movement. 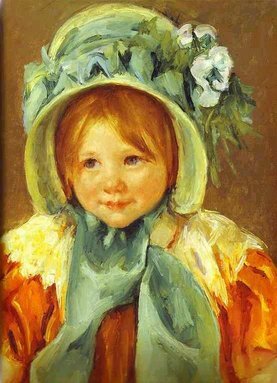 She began painting in that style with bright colors, soft edges, and scenes of everyday people and life. 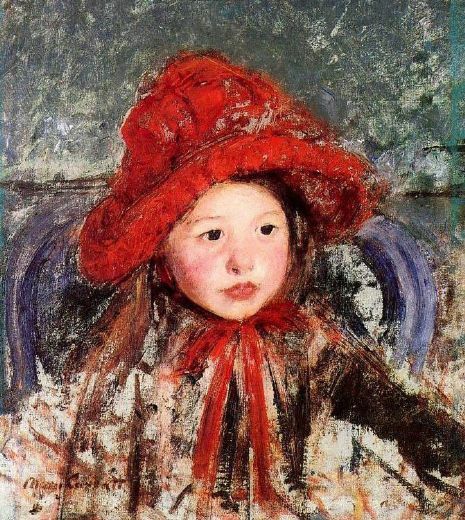 Cassatt’s painting style continued to change through the years to a simpler, straightforward approach. 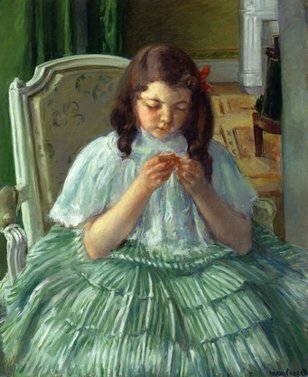 Our painting of the week is Young Mother Sewing by Mary Cassatt. 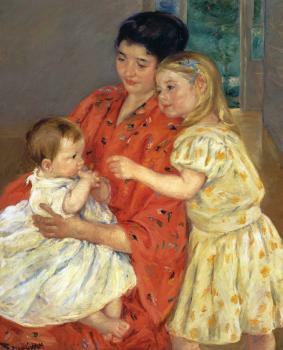 Mary Cassatt is known for her paintings of women and children. She liked to show the special bond between a mother and her child. 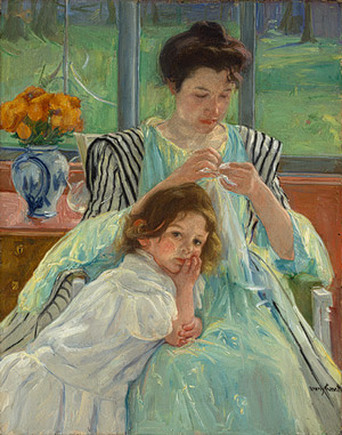 Our painting of the week, Young Mother Sewing, shows this bond. 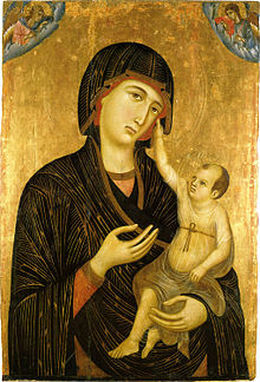 The mother sews with the child leaning on her knee. Their positions show their comfort with one another and their closeness. 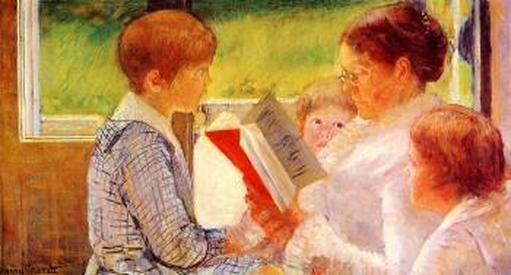 Cassatt liked to paint everyday moments. She felt that they were important. 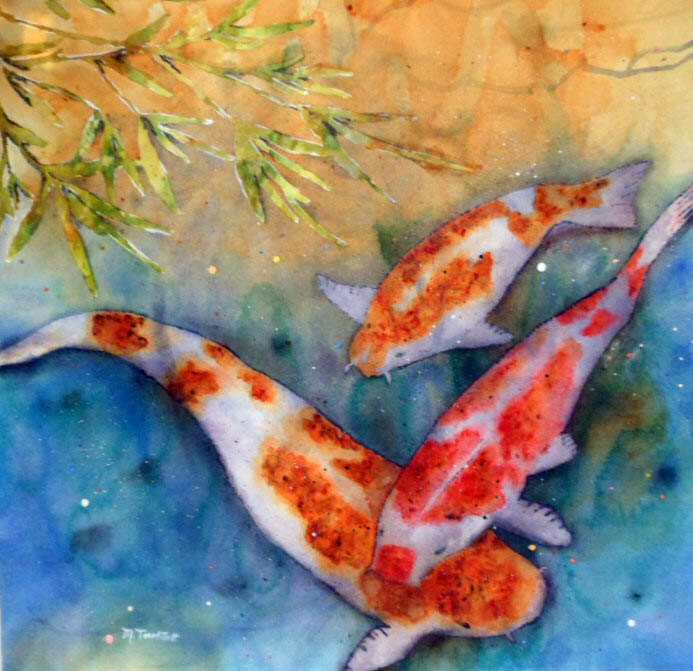 Using watercolors wet-on-wet can produce some exciting results. 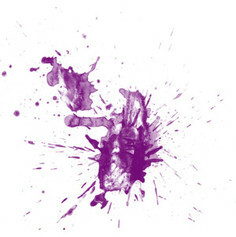 This means you use a wet brush that has paint on wet paper. 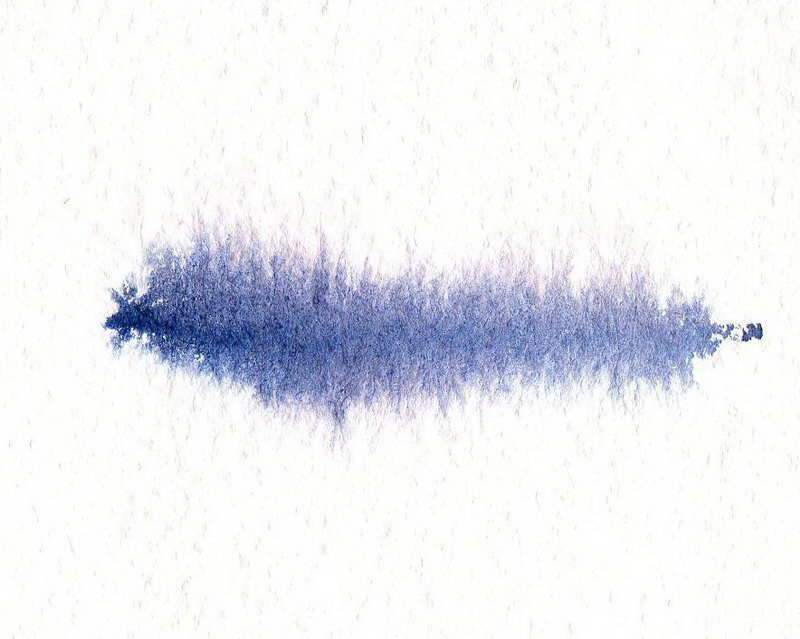 Wet-on-dry is painting on paper that is dry with a wet brush. 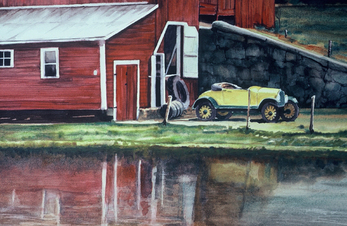 Using dry paper gives the painter more control, especially for details. 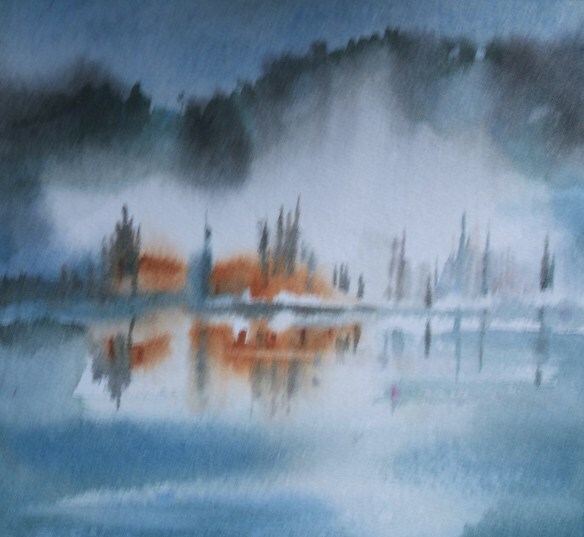 Some watercolor paints are transparent in nature and some are more opaque. Transparent means light is allowed through and opaque means light is blocked. 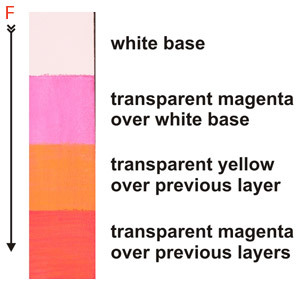 When transparent colors are layered, each color shows through and affects the look of the others. Opaque colors completely cover up any other color. 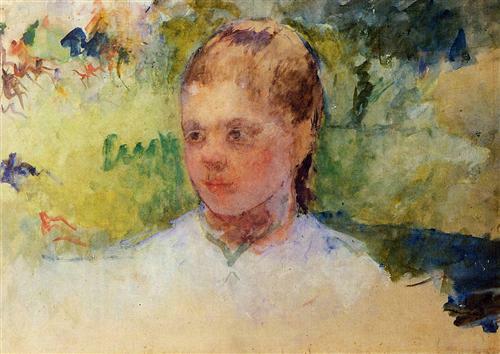 Transparent colors almost glow on the paper, and opaque colors appear more chalky. 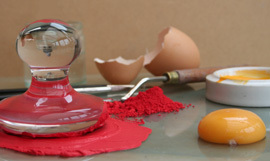 Tempera, also sometimes called egg tempera, is made up of colored pigments and a binder such as egg. 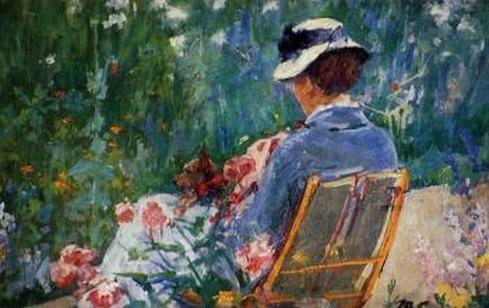 Tempera has been a common painting medium since ancient days. 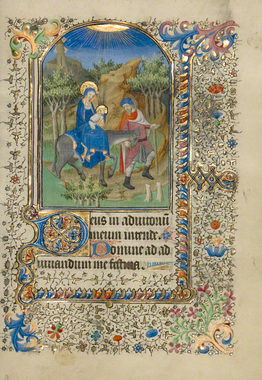 Illuminated manuscripts were painted with tempera. 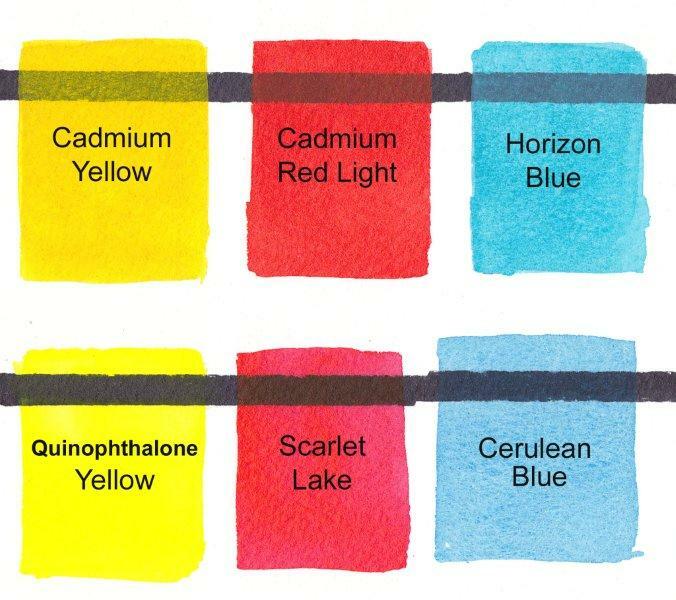 Tempera was typically applied in thin layers, as it can’t be used as thickly as oil paint.Tempera paints are long lasting, but they tend to dry lighter in value than when wet. 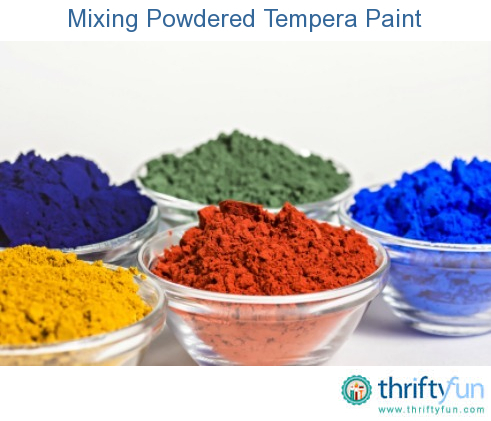 Tempera mixes with water for thinning the paint and cleaning it up. 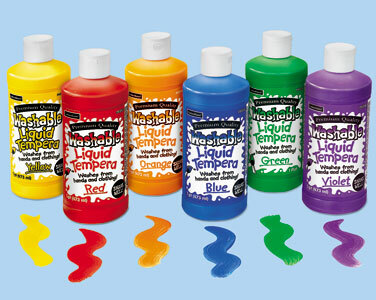 Acrylic paint was developed in the late 1940’s and is one of the more modern mediums used by artists. 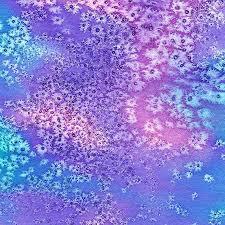 It is popular because of the bright colors and because it is versatile (meaning you can do a lot with it). 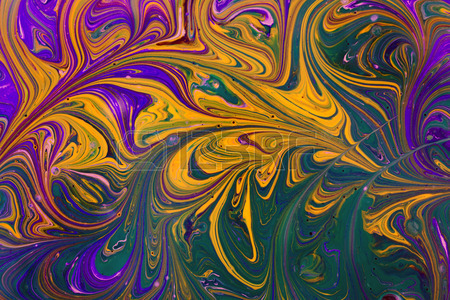 Acrylic paint consists of color pigment mixed with an acrylic polymer binder. 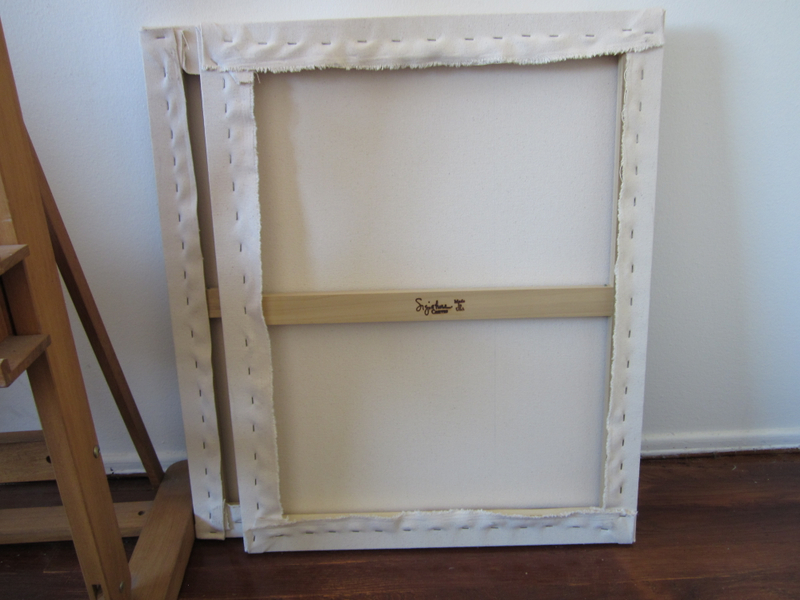 It is mixed and diluted with water, yet the paint is water resistant after it dries. 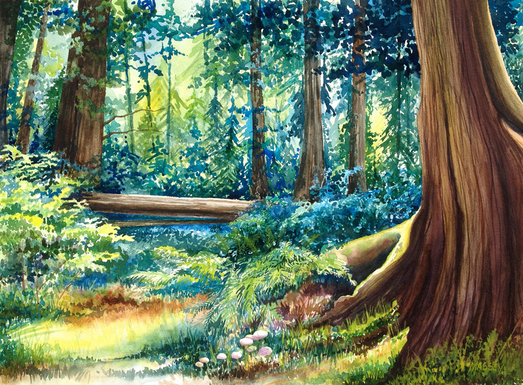 Acrylic paint dries much faster than oils. 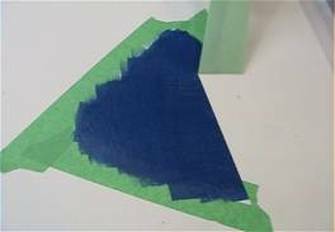 Dried acrylic paint is flexible and doesn’t crack. 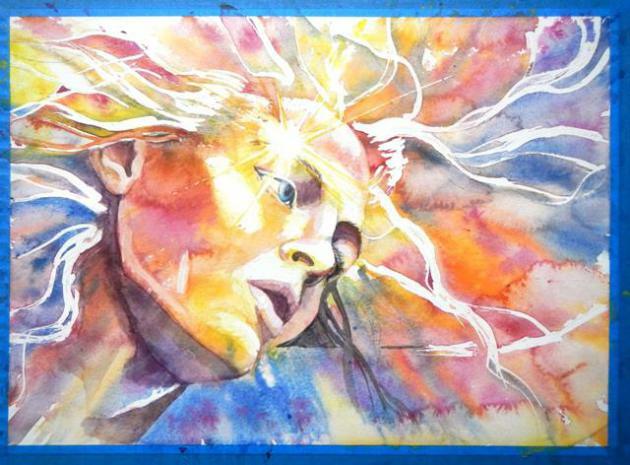 Many different effects can be achieved with acrylics. 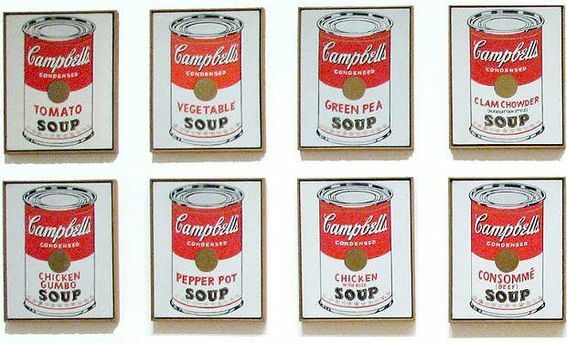 Andy Warhol painted his famous Pop Art soup cans with acrylics. 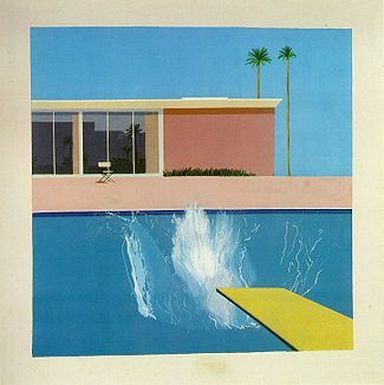 A Bigger Splash by David Hockney was painted with acrylics. 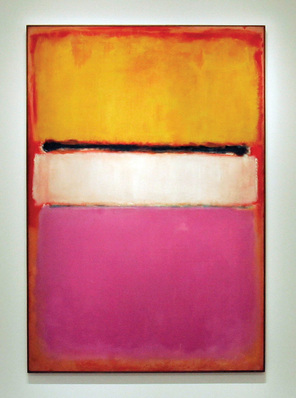 Mark Rothko's White Center is an acrylic painting. 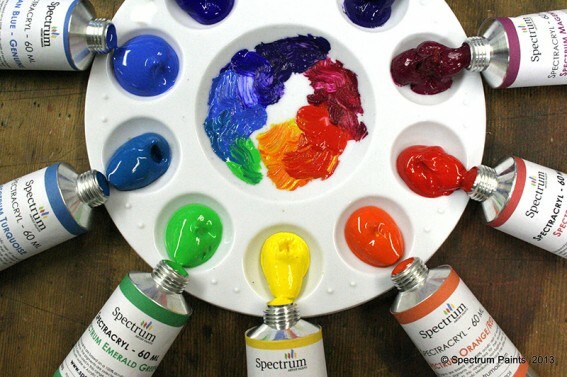 Oil paints are made from color pigment and an oil binder, typically linseed oil. 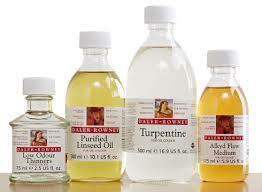 Turpentine is often used to thin oil paint. 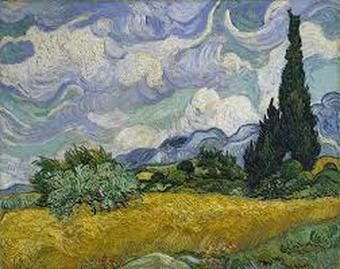 Oil painting replaced egg tempera as the most popular painting medium by the 15th century. 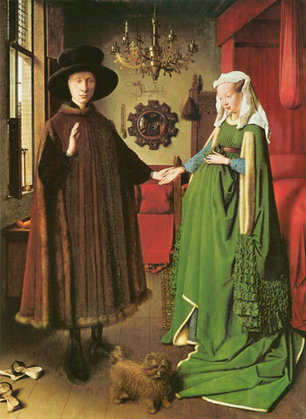 Jan Van Eyck was one of the leaders in first using the medium of oil paints. 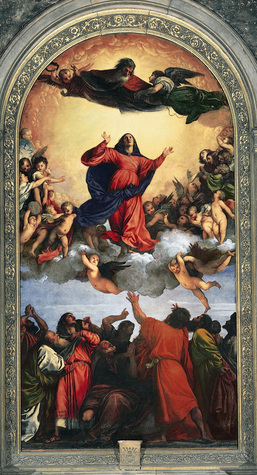 Almost all of the Renaissance artists used oil paints. 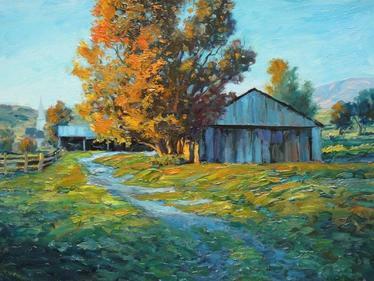 A part of these artists’ training consisted of learning how to make oil paint by grinding and mixing. 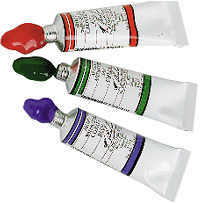 Now oil paints are available in tubes. 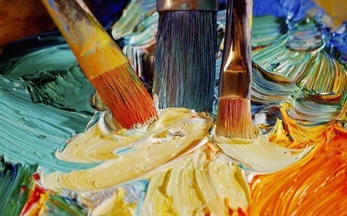 Artists squeeze out their paints onto a palette, which is typically a board or piece of plastic. 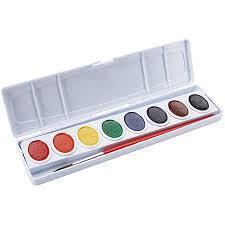 They always arrange their colors in the same order on their palette, and many artists like to use certain colors. 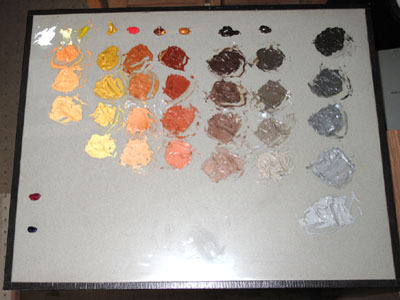 These typical colors used by an artist are also referred to as their “palette”. 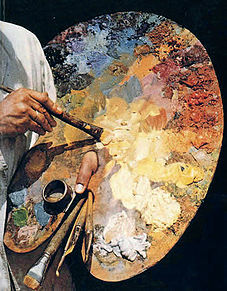 Brushes are the typical tool for applying oils but palette knives and other tools are also used. 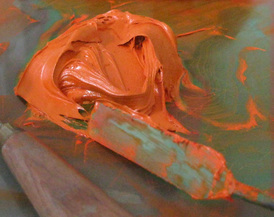 The best things about oil paints are their flexibility and their deep colors which do not change color when dry. 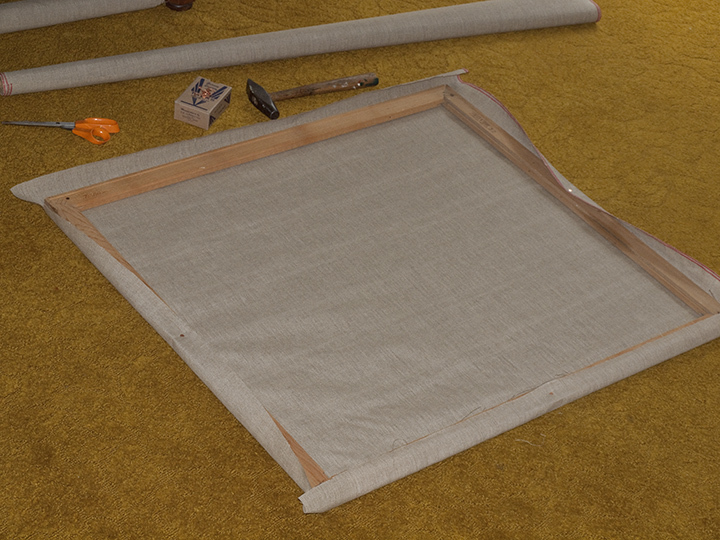 Oil painting is usually done on a canvas stretched between a wood frame, but wood panels and other backgrounds can also be used. 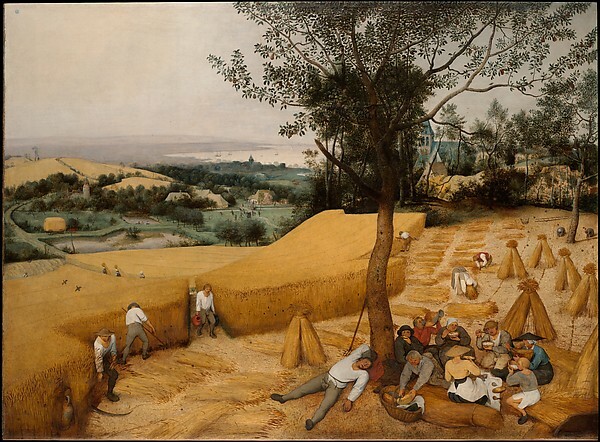 The oil paints can be applied as thin glazes diluted with turpentine such as the painting by Pieter Bruegel the Elder or in thick globs as in a Van Gogh painting. 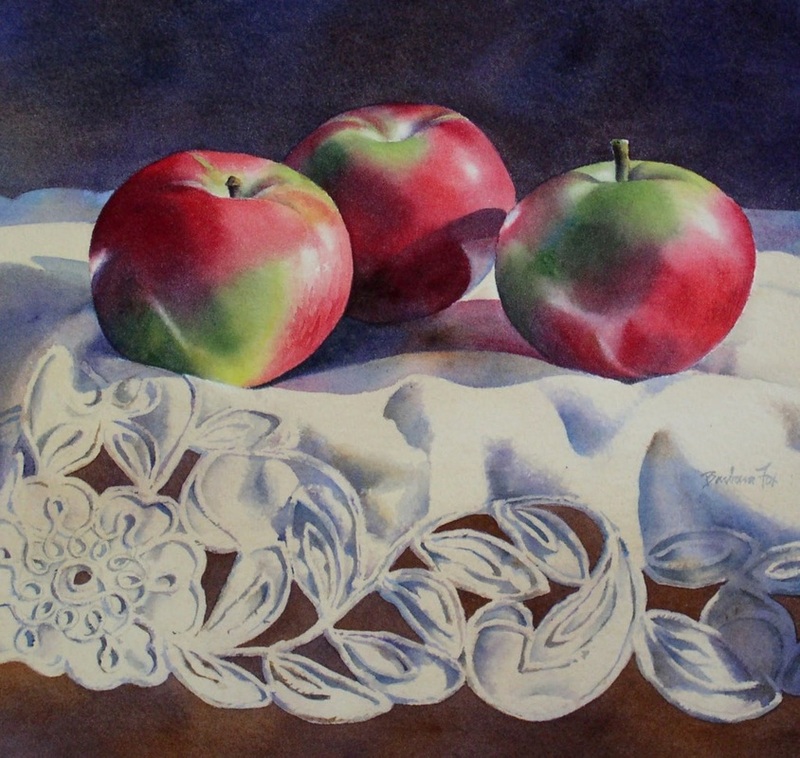 Because oils take a long time to dry, artists have more time to work the paint and blend areas. 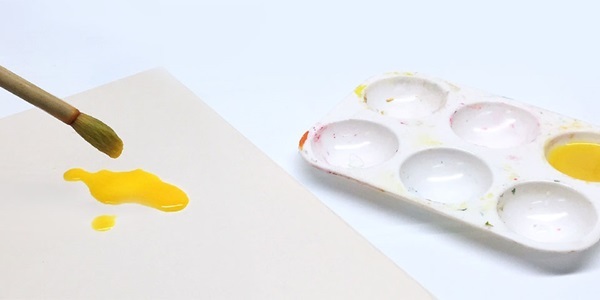 This activity could be simplified with Elmer’s glue and watercolor. Alexander, heather, A Child’s Introduction to Art: the world’s greatest paintings and sculptures. New York: Black Dog & Leventhal Publishers, 2014. Art is Fun,. 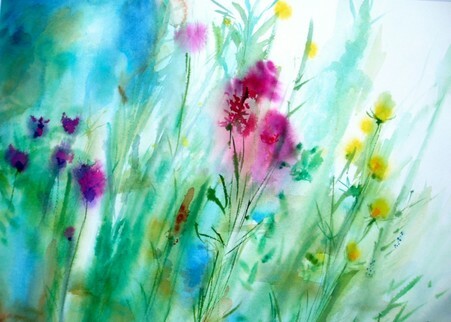 'How To Watercolor - Painting With Watercolors Is Fun!'. N. p., 2015. Web. 19 Oct. 2015. 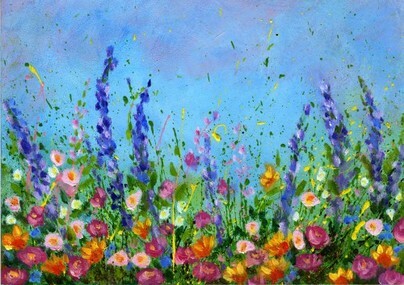 Visual-arts-cork.com,. 'Oil Painting: History, Famous Paintings In Oils'. N. p., 2015. Web. 22 Oct. 2015. Visual-arts-cork.com,. 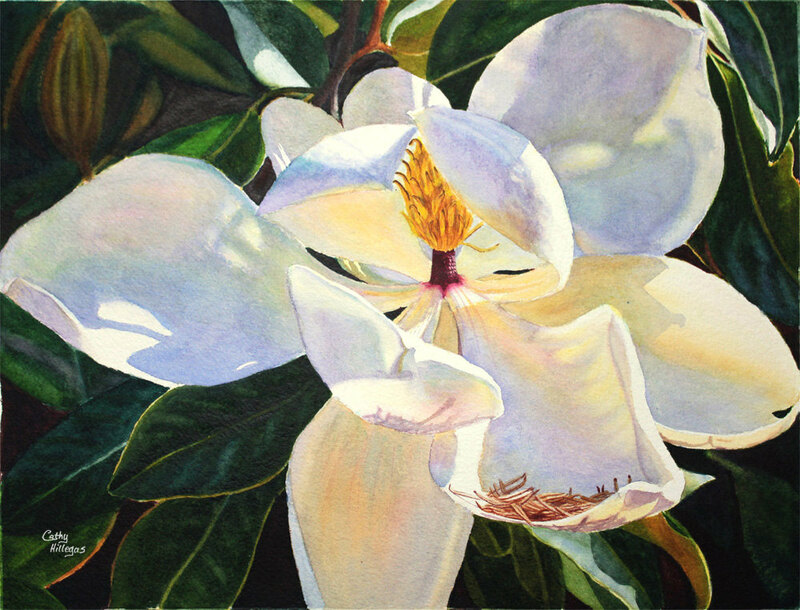 'Tempera Painting'. N. p., 2015. Web. 20 Oct. 2015.